Electronic Arts has announced its financial results for the third quarter ended December 31, 2013, noting a year-over-year decline in net revenue. Total net revenue reported was $808 million compared to $922 year-over-year. Digital Net Revenue increased to $410 million compared to $321 million for the same quarter in 2012. Trailing twelve month digital net revenue was a record $1.86 billion. The jump was attributed to the release of Battlefield 4’s launch. Star Wars the Old Republic subscriptions fell. By how much, wasn’t noted, but it was attributed to the rise in free-to-play. Titanfall is “most anticipated” for March and Respawn is putting the finishing touches on the game now. The firm is being conservative regarding sales of the title, as it’s on a limited platform release and during the later part of the fourth quarter. Titanfall and Battlefield 4 can exist together easily, said EA COO Peter Moore and it was noted during the conference call by CEO Andrew Wilson, that The Sims 4 was moved from release this fiscal year in order to make room for expenses incurred over the funding of the Respawn Entertainment shooter. Wilson said EA expects the title to have a positive impact during fiscal year 2015 – which beings April 1, 2014 – as DLC is already in development. 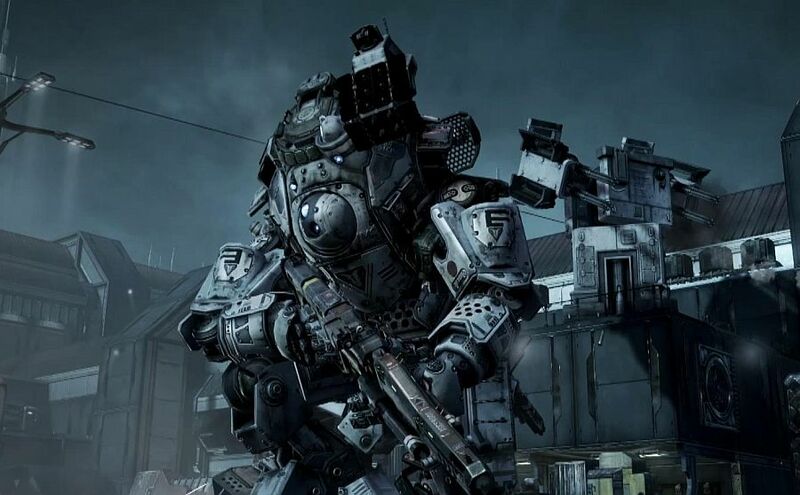 Extra content is already in the works for Titanfall, according to EA CEO Andrew Wilson, which will have a positive impact on the firm’s FY 2015. The Sims 4 was moved out of the current fiscal year to make room for the shooter. Packaged Goods and Other Net Revenue was down, with $370 million reported compared to $568 million year-over-year. For the month of December, FIFA 14 and Battlefield 4 were two of the top three best-selling titles across all platforms in the Western World, and FIFA 14 was the number one title in Europe. “EA’s third quarter marked an exciting start to a new generation of games, and we are proud to have been the #1 publisher on next-generation consoles in December, with millions of gamers across the globe playing EA titles on the PlayStation 4 and Xbox One,” said CEO Andrew Wilson in a prepared statement. Battlefield 4 was a “complex effort” said Wilson on the call to investors, and noted how many refinements have been made since launch. Battlefield 4 Premium is being recognized differently than BF3 Premium from a financial standpoint. There are five expansion packs in the pipeline for the year. Despite the issues experienced with the title, sales weren’t affected, according to Moore, adding that any sales decline could be attributed to the transitional quarter. Moore also said during the call to investors he expects Sony and Microsoft to continue supporting last-gen consoles for the next two years. He also said it’s a solid start for next-gen systems and both seem to be doing a “damn good job” of keeping up with store inventory. “Certainly, Sony has done well with the PS4 – when you compare it to the first two months of their launch on the PS3, they’re up to 2.1 versus 1.9. Microsoft is a little down, the 2.6 attach on Xbox One versus Xbox 360,” said Moore. “This is US only, during that similar period for launch, but I think a lot of that has to do with the some of the bundling activity we saw on a global basis, but certainly here in the US. I think it’s been a solid start for both and we’re incredibly bullish it will continue in FY’15. “We’ve been through these transitions many times, and you continued to re-forecast as you see trends. Both Sony and Microsoft – and in particular Sony – have managed their PS2 to PS3 transition very well. He said he expects 10 million next-gen consoles to have been sold by March 31, and that an edge in attach rates can be given to Sony in the US, where Microsoft is down slightly comparatively. EA COO Peter Moore expects Sony and Microsoft to support last-gen for the next two years. He expects 10 million next-gen consoles to have been sold by March 31, with Sony leading the attach rate, currently, in the US. EA titles represented 35% of the Western World PlayStation 4 and Xbox One software sales in the third quarter. EA’s Xbox 360 titles declined by 35% for the quarter. On a year-to-date basis, FIFA Ultimate Team, Madden NFL Ultimate Team, and NHL Hockey Ultimate Team collectively grew 60% year-over-year and drove digital growth. Madden games are still in the plan as EA Sports’ license with the NFL, contrary to some reports, does not expire this year. EA’s mobile and handheld digital net revenue increased 26% year-over-year with The Simpsons Tapped Out generating $130 million in digital net revenue through Q3 fiscal 14. EA’s mobile titles have been downloaded over 71 million times.